It’s very hard to blog, unless you feel something about the subject. 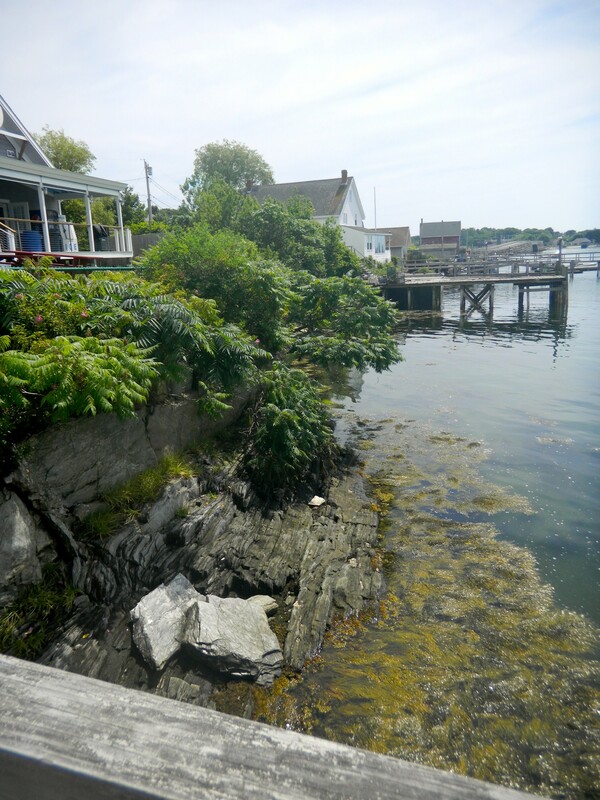 When escaping Brewster House, Mary and I often speculate on what a great place to live Harpswell Neck will be when we quit innkeeping (don’t get nervous!). The Neck and adjacent islands www.harpswellmaine.org are our escape (only a ten minute ride from Brewster House), and a quietly stunning example of the glacially sculpted fingers into the ocean that comes to mind when most of think of Maine! The ride down Rt. 123 starts with some big farms, and if you look close, you’ll see salt meadows at the ends of the fields. You might stop in to Nance’s Seafood Shanty (in front of a large gorgeous farm, which reaches right down to tidal marsh) a few miles onto the road for a fab lobster, clam or crab roll and fresh lemonade. A few miles south, you’ll have to decide to head straight down Harpswell, or follow the sign west to rt. 24. 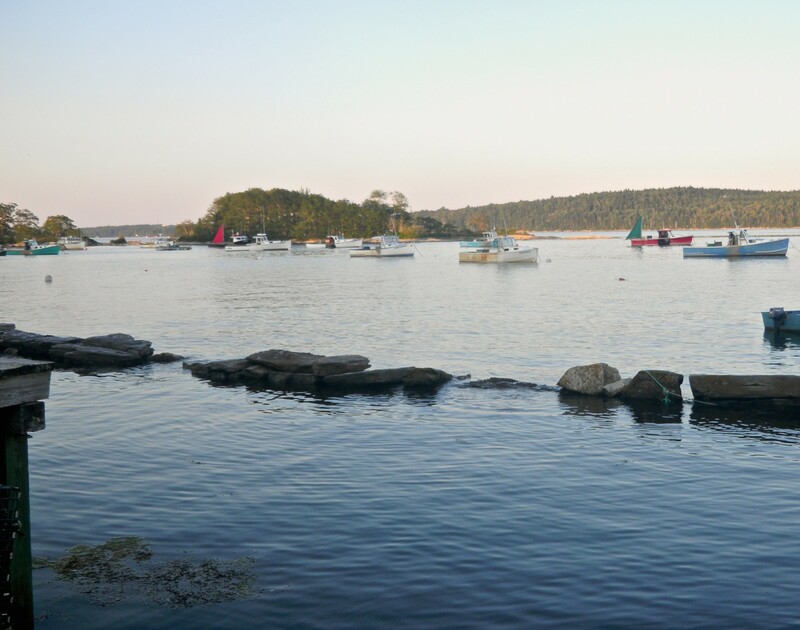 Crossing over Harpswell Cove to Great Island, turn right on 24 and you’ll know your crossing onto Orrs Island, as you drop and twist into the stunning vista of Merriconeag Sound and Gun Point Cove. The ride over Orr’s Island is a delight of roller coaster turns, dives and climbs as you take in the sparkling atlantic vistas of granite, fir and modest, and the occasional lovely waterfront homes or cottage. 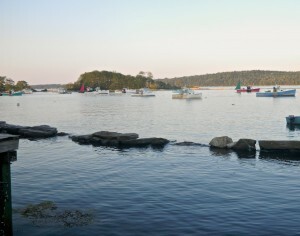 These islands and Peninsula actually include 216 miles of rugged Maine coastline! Bearing left shortly after leaving Brunswick down Rt. 24 would take you to the real Maine lobster fishing village of Cundy’s Harbor, which doesn’t really look like anything has changed in 50 years! Want authentic? Grab a sandwich at Holbrook’s Snack Bar! I digress, back south on rt. 24 we come to the Village of Orr’s, just before the longest granite bridge in the world connects Bailey Island to Orr’s, over the fast running Will’s Gut.http://www.bowdoin.edu/news/archives/summerresearch/003397.shtml. To your right is Cooks Lobster House, left Morse’s Cribstone Grille. Either will serve you lunch or dinner right on the ocean! Around Cooks, many boating opportunities are available, including our favorite new schooner charter, Alert w/ Captains Perry & Bethany https://www.facebook.com/SchoonerAlert! Heading south, Mackerel Cove is the textbook picture of a lobster fishing harbor, and just to it’s left, a path for a scenic hike down The Giant Staircase! Then to one of the Gile Family favorites, Estes Lobster House. Very reasonable and again, oceanside outdoor dining, facing the sunset!! 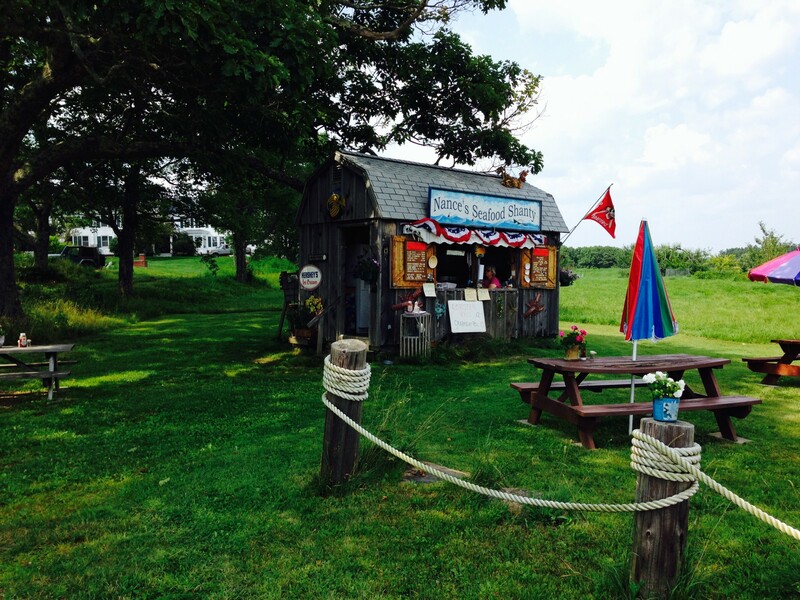 There are several art shops, antique stores, quilters, ice cream shops here and there, in places you’d never expect to see them, all over Harpswell. Had we stayed on Rt. 123, rather than crossing over to Orr & Bailey Islands, we’d have cruised by several lovely coves and inlets on our way to the Village of Harspwell. A mile or so south, there’s a little dirt road to the right that circumnavigates Basin Cove, ending at The Dolphin Restaurant & Marina. The Dolphin was completely rebuilt a little over a year ago. The dining room sits right on Casco Bay and is 180 degrees of glass for your eating, drinking and socializing pleasure. 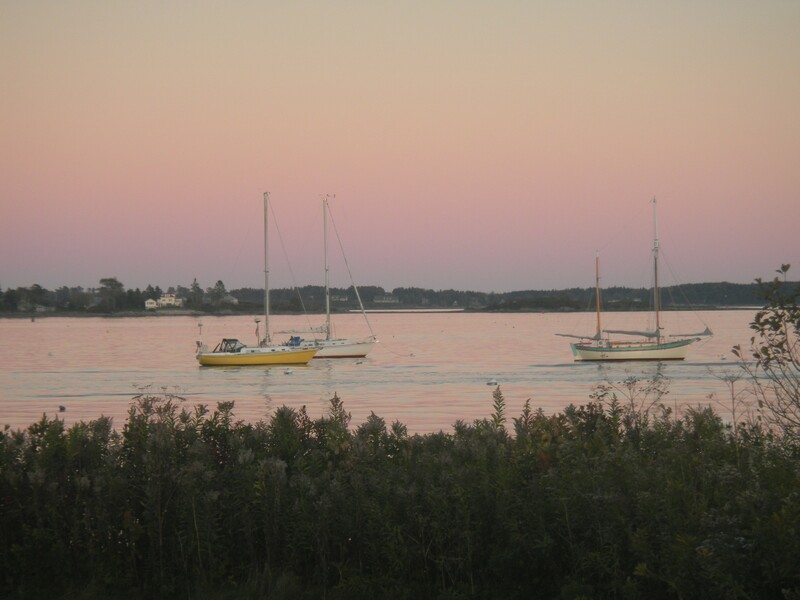 A sublime way to end a great day exploring Harpswell Neck! Then, back to that killer bed with the ironed sheets and that unbelievable next days breakfast awaiting you at Brewster House……..
Would like to spend a couple days at your Inn. We won’t be renting a car. What is best way to get around if we would like to venture? We’d love to have you stay, but you’re really going to limited to the shopping and restaurants in the village of Freeport without a car. If you’re coming to Maine, I would have to strongly recommend a car. You can rent them easily at the Airport in Portland, or Budget will deliver them here during the week. You’ll be missing a ton without a car! Call if we can help!